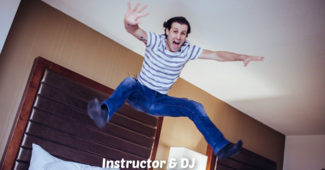 ***NEW RSVP OPTION (see below)*** Swing on through to join The Club for two great WCS workshops with All-Star Mike Carringer and dance to the tunes of DJ Mike! Please see www.seattleswingdanceclub.com or Facebook for more info. !!! We have an exciting new program to reward all our Superstar Volunteers - you can earn toward free local dance admission to any venue of your choice! More details here: SSDC Volunteer !!! Sign up for at least one slot and receive complimentary entry to the dance! SSDC runs on Volunteers, including our board members! If you are unable to volunteer at this event, please keep it in mind for the future and RSVP below to let us know you're coming to the workshop(s) and/or dance! Thank you for supporting the Seattle Swing Dance Club! 3:00-4:00 Set Up (4) - Set up table cloths, set out tabletop items, etc. 3:50-5:00 Front Desk - Check members/guests in, use cash register, etc. 4:50-6:00 Front Desk - Check members/guests in, use cash register, etc. 5:50-7:00 Front Desk - Check members/guests in, use cash register, etc. 6:50-8:00 Front Desk - Check members/guests in, use cash register, etc. 7:50-9:00 Front Desk - Check members/guests in, use cash register, etc. 9:15-10:15 Clean Up (4) - Fold table cloths, push chairs, etc.